Do you always check your writing before you publish? Nearly three-quarters of all customers said they wouldn’t trust a business that used poor spelling or grammar, whilst almost a third said they wouldn’t buy any product or service from them*. 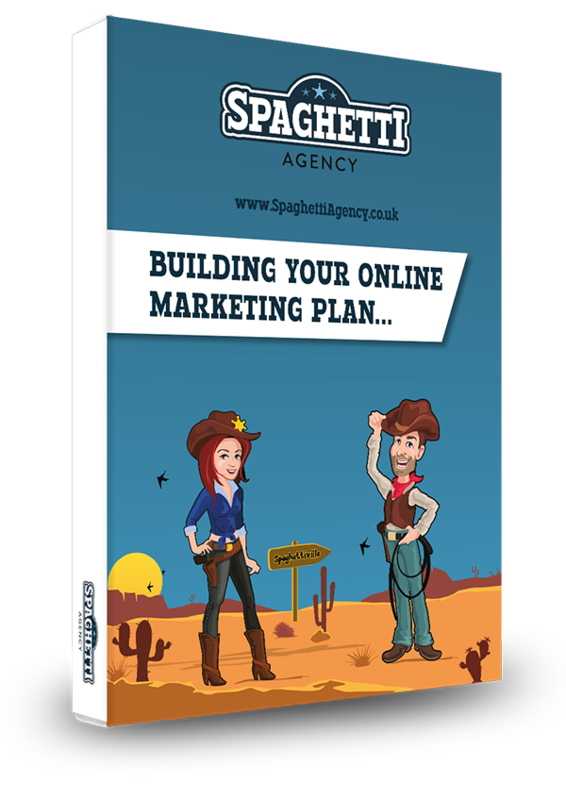 Can you be sure your marketing materials are accurate? Are you losing sales over minor mistakes? Hopefully you understand the importance of proofreading and how your polished written material will make a strong professional impact on existing and potential clients. The credibility of any written work is undermined by errors, and you and your business will be viewed unfavourably if you miss something. 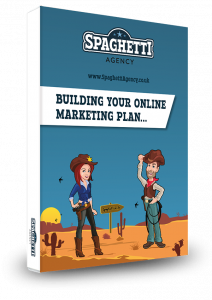 That said, many business owners will be on a tight deadline when publishing new websites and sending out marketing materials – so what can you do to help yourself? Basic issues can be divided into the technical and the creative. You’ll need to take both components into account – perhaps concentrating on one group then the other. Creative aspects include the use of language, the coherence of your message, the clarity of your words, and the style used. There’s no right or wrong with these, but some approaches are better than others. Sentences with words missing. This is very common, and the only way of preventing it is to read every word carefully. In copy, numbers have certain rules – they’re expressed as words in certain instances and as numerals in others, so make sure you know what you’re doing. You can research conventions online, but more important is that you make sure you use the same form throughout. Using email and e-mail in the same piece looks sloppy. Factual inaccuracies. Is there a date? Make sure it’s the right one. Names and figures need to be spot on. Call phone numbers and visit URLs from a fresh browser. You don’t want to point potential customers to someone else’s website, or to a broken link. Misplaced commas can alter the meaning of a sentence. There’s a wealth of information in books and online, so just check you’re using punctuation correctly before you start waving your semi-colons around. Apostrophes are not used to make plurals, yet I see this almost every day. They are not banana’s, they are bananas! These are words that share the same sound or punctuation, but have different meanings. Don’t mistake ‘accept’ for ‘except’ and ‘complement’ with ‘compliment’. I’m sure you won’t confuse their/they’re and your/you’re. If you’re not totally sure, just look it up. There are plenty of online resources available. Capitalised words. Check each of these to ensure they actually need to be capitals. Tense confusion. Shifting tense within a sentence can be confusing for your reader. Most writing will be in the past or present tense, with the exception of proposals and future offers. Check the layout. Are there any stray widows or orphans (words left on their own at the beginning or end of a line)? Check for legalities. Are you qualified to make the claims that you do, and are they legally acceptable? Do you back up what you’re saying? Keep a sharp eye out for words with double letters, as these often cause confusion. Take a break for a while. If you wrote the material you’re checking, try to clear your mind before working. You’ll be able to focus better on the actual words, rather than the words you think are there. Your ideas can percolate and your thoughts will become clearer. You’ll see your material differently and your revisions will be much better. It’s safer to proofread on paper than on screen. Computers condition us to skim read, so mistakes are easily made. Grab a coloured pen and scribble away. (Also, you’ll be away from the temptations of the internet and you’ll get more done!) Consider increasing the font size before you print it out, to make it easier to read. Get into the right frame of mind. It sounds obvious but it’s rare for people to actually concentrate properly. Turn off your phone, TV and email, and focus on what you’re doing. You simply won’t be able to proofread effectively with noisy distractions. If you feel your concentration slipping, stretch your muscles, give yourself a quick break, then hit it hard again. Read it out like a child. Read out loud, and slowly. Don’t roll your eyes just yet! The ear often catches mistakes that the eyes miss. You’ll identify awkward sentences and phrases that don’t sound right. Use a finger to point at one word at a time to stop yourself from rushing. Yes, you may feel like a primary school child – but I promise it will be worth it. This breaks the logical flow of language and makes it harder for your brain to automatically correct errors. By backwards, I mean start at the end and read backwards in sentences or paragraphs. No one is expecting you to ‘sdrawkcab daer yllautca’. Look for one type of problem at a time. Concentrate first on details like sentence structure, then word choice, then spelling, and finally punctuation. Finally, double check how it looks. Fonts and sizes should be consistent. Make sure the spacing is right. We all have our Achilles heels. If you know yours, it makes it easier to spot them. If you’re aware of which things you sometimes confuse, look them up online and double-check your usage. Remember – attention to detail is vital, regardless of your business or industry. When your words become crystal clear, they will convey a more powerful, effective message that gets you better results. There’s no guaranteed formula for perfect proofreading every time, but if you follow these guidelines, you’ll stand a better chance of making a positive impression on potential clients and customers. 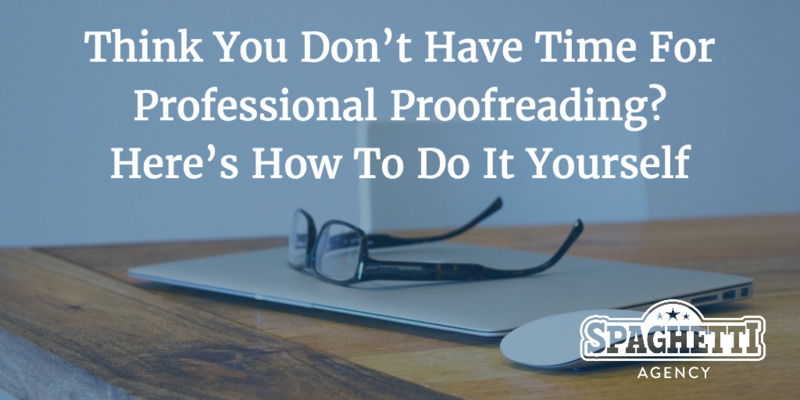 No time for a professional proofreader, or no time not to? Now you’ve had a taste of how complex this can be, do you really have time to do this yourself, and do it properly? Hopefully you’ll see why I wholeheartedly recommend contacting a professional. Remember that your proofreader is a small business too, and they’ll be as keen as you are to accommodate a customer’s needs. It’s always worth asking whether your proofreader is available, as they will probably want to squeeze you in as a favour. Don’t forget that they proofread all day, every day – so they’ll be quick at it. Make proofreading an integral part of your content generation, and help your customers trust your professionalism. *Source: Royal Mail/NOP ‘Poor Communications’ Survey 2005.